What’s it take to make your dream home a reality? Your vision and Melissa’s design talents. 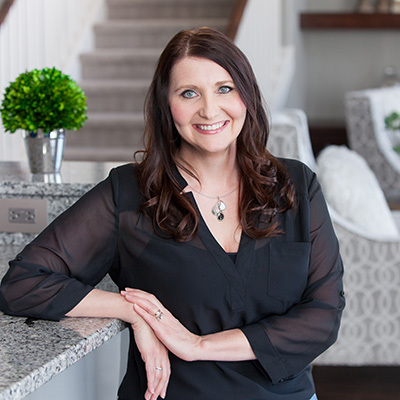 Melissa has been designing homes since 1998, first with an architectural firm, then in residential construction and now with Dietrich Homes. Every second of that experience will go into creating your home, along with organizational skills that leave absolutely no detail to chance. Where the walls will be, the angle of the slope on your exterior trim, the type of material in your sidewalks, patios and driveways…. every aspect of your structure and landscaping, down to the smallest detail, comes under Melissa’s purview and shows through in the flawless function of your finished home. One time and on budget? Yeah, those are Melissa’s responsibilities, too. She prices and oversees bidding for every project and establishes schedules for our subcontractors. Great relationships she’s formed with them over the years make a big difference in the daily communication that ensures your home is ready when you expect it to be, and the cost is exactly what we quoted. When she’s not bringing someone’s dream to life at her desk at Dietrich Homes, Melissa loves to hunt, fish and spend time with her husband, John, and their two daughters. Melissa holds an Associate of Applied Science degree in drafting and estimating from North Dakota State College of Science, Wahpeton, N.D.